eCommerce website owners follow their own ways to embellish their store. But, are they following correct eCommerce trends for making their websites popular on the internet? Some eCommerce websites like Amazon, Flipkart, Myntra are already famous in the industry and people rely on them blindly. But some stores are still in the race of getting a reputed position in the eCommerce industry. They are facing this problem because their eCommerce stores don’t have that potential to grab customer’s attention. The shopping websites also may not have the interactivity, functionality and more importantly the stuff for what the customers are looking for. To resolve this big problem, eComerce web owners really need to implement the new eCommerce website design trends to succeed in their purpose. eCommerce is the second name of mobile shopping. It broke all the records of shopping in previous years and anticipated to increase sales of eCommerce stores up to a great extent. As per the predicted stats, online shopping is picking momentum and is driven via smartphones and tablets. Customers love to use their mobiles for searching and ordering things and even enjoy discovering things on an exclusive user interface which gives them exceptional user experience. 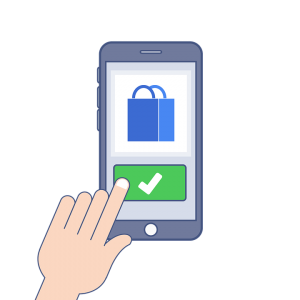 This trend of m-commerce will no longer stick to the same pattern, because customers do not expect a website to just “work” on their smartphones, instead they want it to provide them the ultimate user experience. Web owners should try this latest trend in ecommerce. Social selling – this term clearly depicts the meaning and purpose of marketing. It is growing rapidly and has become one of the best current eCommerce website designing trends in the industry. Most of the big commerce owners have started promoting their stores on major social media platforms which in turn gave them a quality chunk of social traffic. 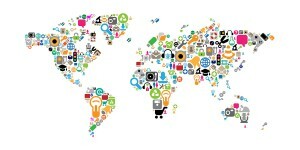 So, for an eCommerce store need to execute robust social media marketing tactic to promote your products and services. There are various social media platforms you can choose for your marketing purpose. For quick results, marketers are using the Facebook live video feature to smartly showcase their existing product range and can also announce the upcoming variety. It will definitely grab customer’s attention. Voice search the conversational commerce which has been accepted as a booming trend by eCommerce experts. The idea behind approaching this trend is to remove the hassles of shoppers and provide them a medium to purchase products in more casual ways. We know that initiating this big change is very daunting in online shopping websites. But, by integrating this voice search feature, you will notice enhanced user interaction and increased traffic to your site. Currently, this facility is being utilized for weather search, small phrase queries and many small things. In the future, voice prompts will be widely used for shopping too. eCommerce web owners should watch this trend closely. Apart from providing flexible payment facilities to the users, shopping website owners should also improve their shipping features. With this feature customers could get their ordered products on time and by paying minimal shipping charges. If you have such special arrangements for particular products, you can deliver them to the buyer’s doorstep within 24 hours. This will make them fully contented and help increase your sales up to a great extent. By going through the blog, it can be stated that setting up an eCommerce store is not that easy as it requires skills to face stiff market competition. 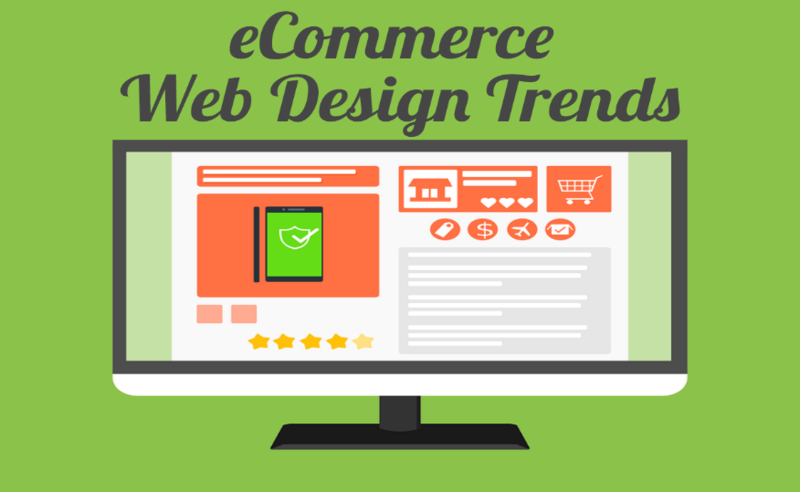 If one wants to nail the industry, he needs to keep pace with the latest eCommerce design trends. Aforementioned E-commerce new trends are considered as the future of online shopping industry. And these latest ecommerce trends are likely to dominate the entire market in upcoming years. Sparx IT Solutions is one of the well-renowned eCommerce web development companies. We put 100% effort in developing eCommerce websites by incorporating these techniques. No matter, what you want in your online shopping portal, we will deliver that to you with the latest eCommerce features and functionalities. well,Here are sharing such a good or informative content about E-Commerce websites solutions.Thanks for the publish great ideas in this blog! Today, Ecommerce web owners are facing numerous challenges to make their online store interactive and user-friendly. The points inculcated in this blog may remove the mist from web owners’ minds and enable them to implement these techniques to grow their sales. Really useful points covered in the blog. Great Job! Now a day! E-commerce is the next generation virtual store for buying the product. It will be like the part of the shopping, seating at the home and checking the product in your android phone, iPhone, iPad etc. Parching the product on just one touch of phone or by voice control. For payment there will be less hard cash in the hand instead of that you will have your phone to tap or online payment system for the product. At all this information will encourage customer and will may start using the E-commerce site & application. Thanks for sharing this post with us.